Bemis : A Company Town is a collection of short stories, poems, and photographs about Bemis, Tennessee. The village was the last textile mill company town in America. The author grew up there. The Bemis Brothers Bag Company owned all of the houses and employed everybody. No one not working for the mill lived inside the limits. The company even provided the park supervisor and an athletic director for the inhabitants only. The town was built from scratch starting in 1900. The mill made cloth from cotton grown in the area. Youth who lived there considered the place to be tough. That is why “Bemis Hoods” was painted on the side of the mercantile store by somebody unknown. Starting in the 1970s the houses were sold to the individuals who could paint them as they wanted, and the mill today is a brick shell. The city of Jackson, Tennessee, annexed it. This book is a record of the past. Buy the Hardcover, Paperback or eBook at Blurb.com. 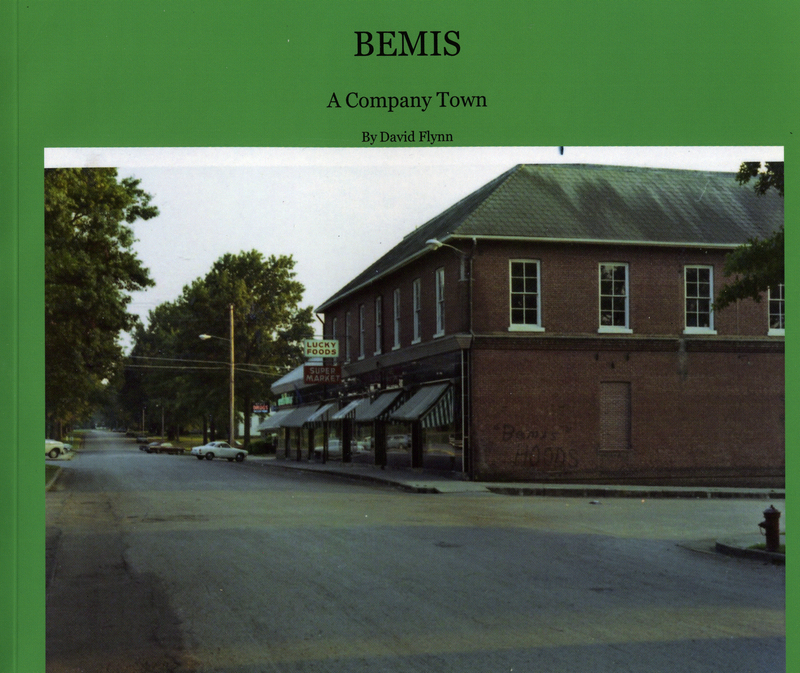 Bemis : A Company Town is a collection of short stories, poems, and photographs about Bemis, Tennessee. The village was the last textile mill company town in America. The author grew up there. The Bemis Brothers Bag Company owned all of the houses and employed everybody. No one not working for the mill lived inside the limits. The company even provided the park supervisor and an athletic director for the inhabitants only. The town was built from scratch starting in 1900. The mill made cloth from cotton grown in the area. Youth brought up there considered it to be a tough place. That is why “Bemis Hoods” was painted on the side of the mercantile store by somebody unknown. Starting in the 1970s the houses were sold to the individuals who could paint them as they wanted, and the mill today is a brick shell. The city of Jackson, Tennessee, annexed it. This book is a record of the past.